Yesterday, I shared a bit about our kitchen layout, but it left me wanting more. So, I figured, what the heck - let's drag it out into two posts. 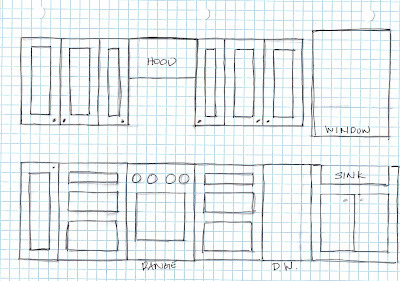 This way you're lucky enough to be treated to yet another one of my wonderful hand-drawn renderings of our new kitchen layout. We've already purchased our 36" range, which you can read about here. 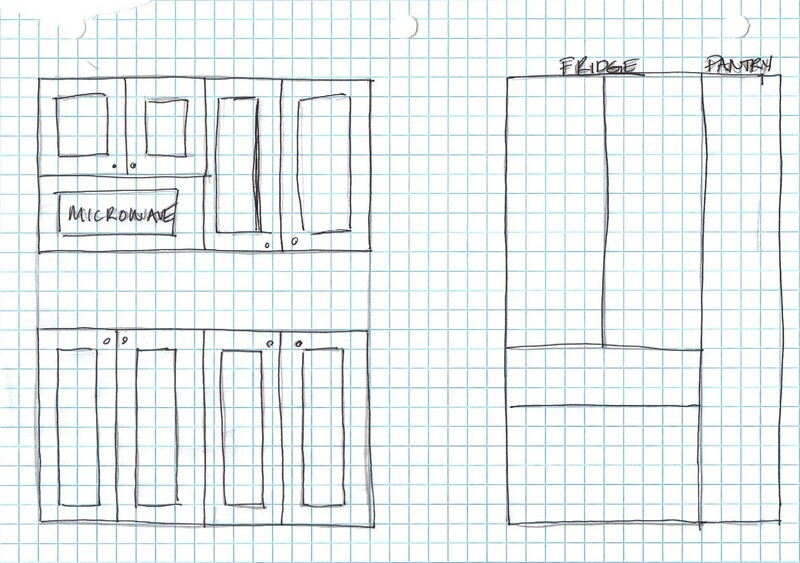 We're leaning toward deep drawers for pots and pans on either side of the range. 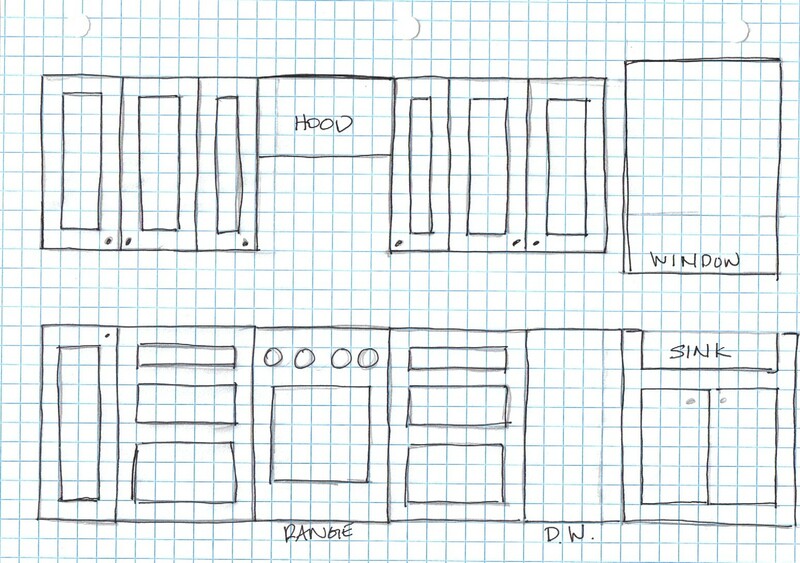 The range will also be flanked by small upper cabinets which we plan to use for spices and everyday cooking oils, etc. We've also planned for a 30" apron fronted farmhouse sink, although I do really like the 36" sink. What are your thoughts - is a 36" sink too big? 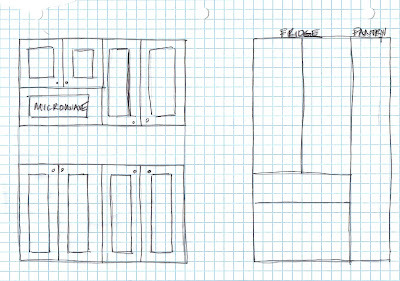 A commenter suggested moving the fridge more toward the center of the kitchen, which I am happy to report we can do now that we have sourced a french door style built-in fridge. Originally we had placed it closer to the wall so the massive 36" door didn't swing out into the middle of the kitchen. We're also debating the layout of the microwave. First, I wish I could say we didn't need one, but I think we do. Plus, if we do the convection microwave it's kind of like having a double oven. Kind of. So, what do you think - microwave toward the center of the kitchen or against the wall (as shown above)?